We have been listening to a story about World War I. 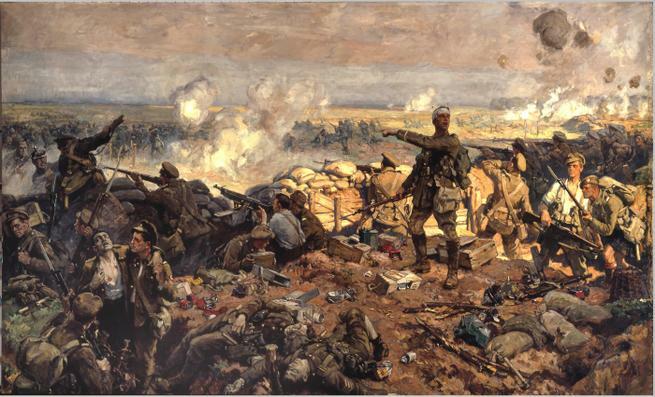 As part of our learning about verbs and adjectives, we looked at a painting at one of the battles, at a place called Ypres, to help us to use our imagination to think of powerful vocabulary. We used these later in our poems about the war, written from the point of view of someone on the battle field.